Back when I was a college student playing football, my goal was to make it to the next level professionally. I spent many hours throughout the day running, lifting weights, and practicing my football techniques. Alone or with other players, my training was all business and no pleasure. Mentally and physically drained, I had to keep my mind motivated and focused. Many times it was difficult since I didn't have the proper guidance. My model was "No pain, no gain". As a new teacher, I followed my model bringing the mentality to my students, work hard to improve health. I realized students were unfocused, unmotivated and unengaged in the fitness activity. I would get some students with the hard work mentality but many students did not enjoy exercising. I observed students were huge fans of technology specifically using their electronic devices for entertainment, communication with friends, and enjoyment. 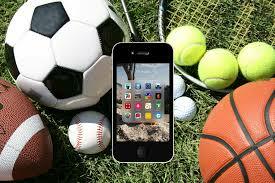 I asked myself, "Why not incorporate technology into a fitness activity?" Physical education is required by all grade levels from elementary to high school, however, not all states have a requirement standard. 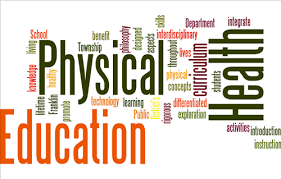 Elementary schools and high schools require above three-quarters students to take physical education, whereas middle/junior high schools require 72.5% (Shape of the Nation, 2016). This is a significant decrease from 2010, to emphasize, middle schools requirement was 78.4%, elementary schools claimed 84.3%, and finally, high schools demanded 90.2%. California has a requirement of 100 minutes per week of physical education in elementary schools and 200 minutes in middle and high schools. California also requires the school district to assess students fitness levels in grades 5th, 7th, and 9th using the FitnessGram. Research indicates that technology can enhance students learning. Moreover, integrating electronic devices in Physical Education classes may expand student’s awareness and provide student’s engagement within the lesson plan. In one study, students used video to record their throwing and catching skills. The video provides students with feedback to correct their biomechanics of the skills. Technology resources can be used to align physical education standards which can prepare students for the California FitnessGram. Video analysis is a way students can enhance their engagement and learning in physical education. A study in 2011, investigated the effects of using a video camera on how it improved student’s throwing and catching (Casey & Jones 2011). The study came from a mixed gender class of twenty-seven students in the 7th grade. Many of the students were low skilled and unachieving. The teacher used a camera that was set up on a tripod to record the student’s throwing motion. Students were given two attempts to throw the ball. Each student was provided with instant feedback from the video, also with verbal feedback from the teacher and peers. The teacher was very enthusiastic observing the students who were making the connections with the learning environment and skill performance. The study indicated a significant impact on the engagement of the students and helped them improve their learning in physical education.